In exceptional cases students may be accepted to the program if they have completed a comparable degree for example in Physical Education, Psychology, Sociology, Political Science, Anthropology, or Medicine. 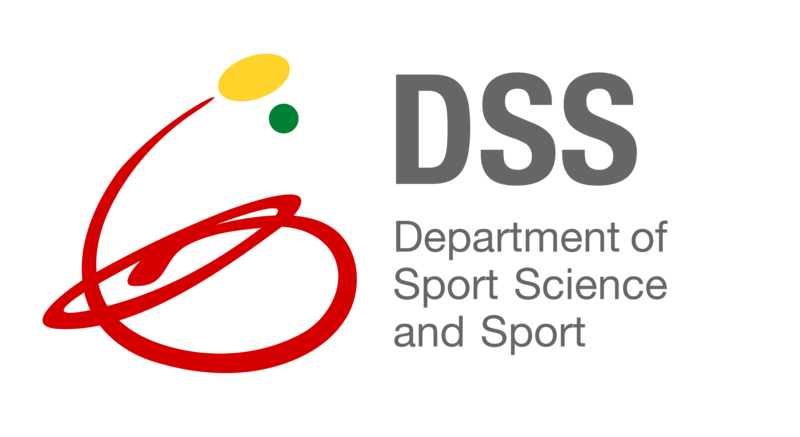 Students must provide evidence they have undertaken an equivalent of at least 20 ECTS credit points in the subjects of either Sport/ Physiotherapy/ Public Health, or have at least 1 year working experience (full-time) in one of these fields. Students currently enrolled in a Bachelor program may submit an application once they have completed a minimum of 140 ECTS credit points. A final transcript of records and Bachelor certificate must be submitted before enrolment; any acceptance is provisional until final Bachelor documents have been received. All MA programme classes are taught in English. All non-native English speakers are asked to provide proof of proficient English language skills with a minimum level of B2 of the CEFR European language portfolio. 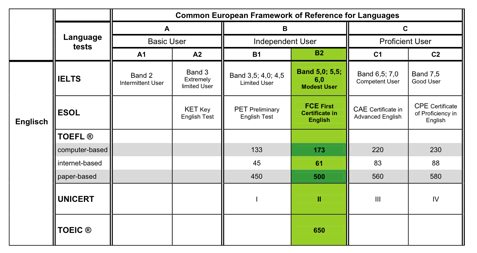 If you have obtained a language certificate other than CEFR, the following chart gives a comparison of the certificates and test scores roughly equivalent to CEFR B2. Please note: This chart is not legally binding and is for orientation purposes only. The adequacy of any language certificate/test score other than CEFR B2 will be assessed separately for every individual case. Applicants not providing CEFR B2 level language certificates may have to take an additional English language exam at the University Language Center prior to enrollment, regardless of the score achieved in other language tests. German language proficiency is not required for enrolment, but must be studied within the first year at FAU on at least a minimum level (A1). A basic knowledge of German is highly recommended, especially for the project-based classes in the 2nd year. Among others, the Language Center of the University offers free German classes for all levels of proficiency. We will take applications for the 2019 fall term (starting in October 2019) from January 01, 2019 on. Our admission requirements have changed! Please read the according section of our website carefully.